Aiming to simplify and support the diagnosis of sleep and breathing disorders Stowood Scientific Instruments Ltd (Stowood) are an Oxfordshire based technology company. We specialise in the design, development, manufacturing and support of equipment for the diagnosis of sleep disorders. We supply equipment for use across a wide range of settings from research, dedicated sleep laboratory or the home environment. Our clinical customers sit at the heart of what we do. Our products are designed with their needs in mind and we strive to innovate and adapt as their needs change. Supporting our technology is a team of dedicated customer and technical support personnel. In order to provide our customers with a range of potential solutions for their particular practice and needs we actively seek out technology that will complement Stowood’s and form distribution agreements. We were the partner of choice for Embla when they introduced the first acceptable home sleep screener, the Embletta pds, and have distributed each of their products including their latest, the Embletta MPR PG as well as their polysomnography systems. In addition, we distribute Konica Minolta oximetry as well as accessories and consumables needed for the continued use of all products offered in the portfolio. We believe in supporting the clinical community through the design of technology that makes the diagnostic process easier for both clinician and potential patient but also through supporting the new clinical innovators and leaders of the future. Our founder, Lynford (Lyn) Davies, bequeathed an award to support research and innovation in the field of sleep medicine. 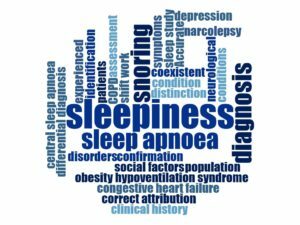 The Association of Respiratory Technology and Physiology (ARTP) and the British Sleep Society jointly administer this annual award. Stowood is proud to continue to support and be part of this award going forward. 1992- Visi-Lab: A sleep lab system designed to simplify the process of diagnosing disordered breathing and to remove the need for the monitoring of EEG and sleep staging. This change enabled non-specialist respiratory services, for example district general hospitals, to offer respiratory polygraphy and the diagnosis of obstructive sleep apnoea syndrome for the first time. 1994- Oximetry download software, currently known as Visi-download software: designed to provide a single download and reporting package for multiple types and makes of patient monitors including oximetry, transcutaneous CO2 and capnometry. The software enables the use of multiple different types of monitoring system in the home environment and all can be downloaded and reviewed on a single platform within the clinical environment assisting in the on-going management of an individual’s therapy. Previous versions were named Download-2001 and Win-Visi. 2002- Snorometer: The first portable device to include the recording of real audio. 2011- Black Shadow: Portable ambulatory home monitoring systems (respiratory polygraphy). The only device of this type that offers calibrated sound levels in its recordings.